To better serve the growing Church, a number of mission boundary changes have been announced in the Church News this weekend. As of July, there will be 10 new missions and 14 will be combined. Italy’s Catania Mission will be combined with the Italy Rome & Italy Milan Mission. As you can see below, this will be one of many combinations to allow for accelerated growth within Europe and throughout the world. We haven’t heard what the new official boundaries will be, but assume that there will be some impact beyond the addition of the Catania Mission to the Rome Mission otherwise there would not have been mention of the Milan Mission being involved. This is truly a positive step and shows the great growth in Italy, as so many new Stakes have been formed over the past few years. Each new stake reduces the need for a mission president to give guidance to districts. The maturity of stakes allows members to do more finding work thus requiring fewer missionaries. We have also heard that great progress is being made in Sicily and maybe a stake will be possible there within a very short period of time as well. As long as we are sending this message out, maybe a word on the Rome Temple status. In visiting with some of the Saints in Rome, it appears that great progress continues to be made in gaining the necessary approvals to commence construction. Evidently, many more of these approvals have been received since we last communicated. Many familiar with the normal governmental approval process in Rome are amazed at how much progress has been made – obviously the Lord is most interested in this house that will be built to His name and glory. Some have said that normal approvals take from 5 – 7 years. We are not yet at one year, (since the Temple plans were first submitted to the city) and most of the approvals needed have now been granted. I do know that the Rome Stake Presidency has once again asked the members to remember all the governmental officials that are involved in their fast for March. Should you wish to participate I am sure it will be greatly appreciated by the Saints in Rome as well as the Lord. While no timelines exist, apparently within a few months all the approvals could be in place. I would assume that once the city grants the permits to start construction we will be able to see what the temple will look like. My former supervisor in the Church Office Building is now the Church’s Director for Temporal Affairs in Europe. He has seen the temple plans and while he was not at liberty to share them with me, he said that “the temple will be beautiful.” As we have so often discussed, while we know the building will be beautiful, the blessings that come from the ordinances performed within the temple that unite families eternally will be the true unseen beauty of the building. Once again, the mission boundary changes, new stakes, and the progress on the temple construction approvals are evidence of the great impact that each of you had on the Lord’s work in Italy. The Church not only keeps growing, but grows at an ever increasing pace. Thank you again for your faithful service. Accepting the Lord’s call and doing your best has laid the foundation for this and so many other miracles in Italy. With gratitude for your service please know that you remain constantly in our prayers! A scopo di servire meglio la crescita della Chiesa, sono stati annunciate parrechi cambiamenti ai confini di missioni nel mondo questo weekend. A luglio, ci saranno 10 nuovi mission e 14 saranno incorporate in altre mission gia’ essistenti. In particolare la missione di Catania sara’ inclusa nelle missioni di Roma e Milano. Come potete vedere da cio’ che seque, questo cambiamento sara’ uno dei tanti sia del mondo che dall”Europa. Non sappiamo ancora i confini precisi, ma assumiamo che ci sara’ un’impatto oltre l’inclusione della Missione di Catania nei confini della missione di Roma, altrimenti non ci sarebbe stato menzionato la missione di Milano nell’annuncio ufficiale. Questo e’ veramente un passo positivo e dimostra grande crescita e maturita’ in Italia. Ovviamente segue le formazioni di tanti nuovi pali negli anni recenti in Italia. Ogni nuovo palo reduce la quantita’ di tempo e risorse che un presidente di missione deve investire per gestire I distretti. La matturita’ dei membri permette anche meno missionari a fare il lavoro perche’ loro fanno molto piu’ lavoro di “ricerca” per dare ai missionari amici ad insegnare. Abbiamo anche sentito che il lavoro procede bene in Sicilia e forse un palo li’ sta sul orrizonte in breve tempo! In tanto che mandiamo queste notizie, forse conviene includere qualcosa in merito al Tempio di Roma. Nelle chiachierate che faccio telefonicamente con I membri a Roma, sembra che grandi passi sono stati fatti nel passato recente. Incluso in questo sono nuove approvazioni dai vari entita’ del governo civile a Roma da quando ci siamo sentiti su questo argomento l’ultima volta. Di sicuro, il Signore si e’ interesato di persona a portare a fine questo meraviglioso progietto che sara’ una casa dedicate al Suo nome e gloria. Quasi tutti dicono che un progietto di questa complessita’ e grandezza di solito richiede dai 5 a 7 anni ricevere le approvazioni. Da quando I piani sono stati dati al commune l’anno scorso siamo a solo 10 mesi e quasi tutte le approvazioni sono in mano. So anche che la presidenza di palo ha chiesto ancora che I membri del palo di Roma includono nelle loro digiuni per marzo la richiesta al Signore di continuare a muovere questo lavoro e di benedire tutti I dirigenti civili con cuori aperti allo Spirito affinche’ possano sentire la necessita’ di affrettare questo lavoro. Sono sicuro che a voi pure l’invito a digiunare esiste. Siano I membri che il Signore stesso saranno grati per qualsiasi vostra sforza di fede in favore di questa grande opera. Anche se date precise per iniziare il lavoro di costruzione non esistono ancora, e’ la nostra speranza e’ che non ci vorra’ tanti mesi ancora prima di aver il primo colpo di piccone. Assumo pure, che appena che la citta’ da il permesso di costruire, saremo in grado a vedere come sara’ il disegno. Il mio vecchio capo a lavoro e’ stato trasferito di recente a Francoforte dove funge da direttore di affair temporali per la Chiesa in tutta l’Europa. Lui ha visto I piani per il tempio e anche se non era libero dimostrarmeli, mi ha detto che “il tempio sara’ bellissimo!” Come abbiamo discusso cosi’ tante volte, anche se sappiamo che il tempio di fuori sara’ bello, la bellezza piu’ profonda sara’ legato alle benedizioni dal interno del tempio dove le ordinanze eterne che riuniscono famiglie verrano sequite. Una volta in piu’, I cambiamenti di confine, I nuovi pali, e il progresso nell’ottenere le approvazioni per costruire il tempio dimostrano l’impatto che ognuno di voi ebbe nel costruire le fondamenta del lavoro del Signore in Italia. La Chiesa non cresce soltanto in Italia, ma cresce sempre piu’ rapidamente. Grazie di nuovo per il vostro servizio fedele e di cuore. Di aver accettato la chiamata del Signore a service e poi a dare il vostro meglio sono le attitudini che hanno permesso questa crescita’ e gli altri miracoli spirituali che vediamo in Italia. Con profonda gratitudine per il privilegio a servire insieme, sappiate che rimanette sempre nelle nostre preghiere! To better align resources and adjust to the ever changing needs of the Church, 10 new missions will be organized in July, while 14 other missions will be combined with neighboring missions. The resulting number of missions will be 340. Combine the Germany Hamburg Mission with the Germany Berlin Mission, with headquarters in Berlin. Combine the Switzerland Zurich Mission with the Germany Munich/Austria Mission, and portions of the Germany Frankfurt Mission. The resulting mission will be named the Alpine German-Speaking Mission, with headquarters in Munich. Combine the Ireland Dublin Mission with the Scotland Edinburgh Mission. The resulting mission will be named the Scotland/Ireland Mission with headquarters in Edinburgh. 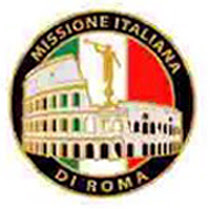 Combine the Italy Catania Mission with the Italy Rome and the Italy Milan missions. Combine the Spain Bilbao Mission with the Spain Barcelona, Spain Madrid and Spain Malaga missions.